-	Identify typical human responses to danger and common passenger behaviours in emergencies. -	Describe the role of drills and debriefing in maintaining emergency preparedness and promoting situational awareness. -	Identify techniques for managing crowds in an emergency. -	Describe the importance of encouraging emergency feedback from passengers and providing information to them. Được sửa bởi Bố già ngày Sat Mar 09, 2013 12:26 am; sửa lần 1. The inert gas generator is a primary component for maintain safe operation onboard ships carrying explosive and inflammable cargoes. It is important to know what inert gas is composed of and its effect on flammability. 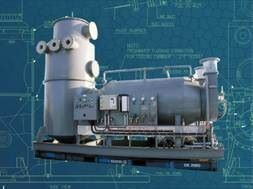 In this module you will become familiar with the Flexinert Gas Generator and its properties. 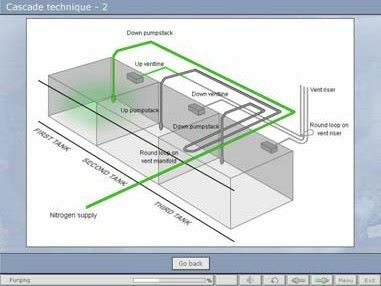 After completion of this module the trainee will answer relevant questions to show his understanding of the construction and operation of the Flexinert Gas Generator. Được sửa bởi Bố già ngày Wed Jan 18, 2017 10:02 am; sửa lần 2. 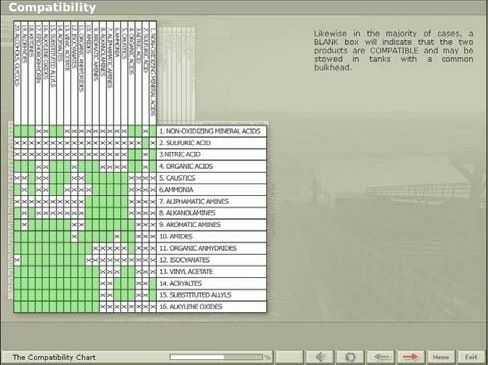 This module delivers training in the use of the USCG Compatibility Chart, the industry-standard reference tool used in the stowage of cargoes on chemical tankers. It explains the method behind the chart, its layout and the significance of the associated tables, translating examples of data obtained into practical, illustrated stowage arrangements, thereby developing the student’s understanding and competence. 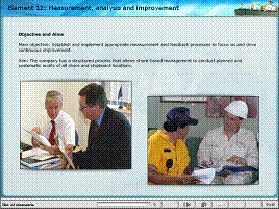 The assessment section is comprised of a series of small exercises requiring use of the chart and tables. * Target group: Deck officers involved in cargo operations on board chemical tankers at operational, support and management levels and operations office staff. Được sửa bởi Bố già ngày Wed Jan 18, 2017 10:03 am; sửa lần 2. 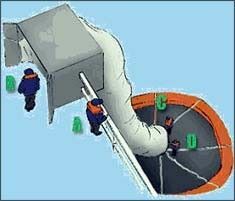 A ship with insufficient or damaged insulation around the cargo tanks and pipes can be very costly. Seagull together with TI Marine Consulting, and Aksel Oddvar Olsen, has developed a CBT module covering insulation methods and materials. 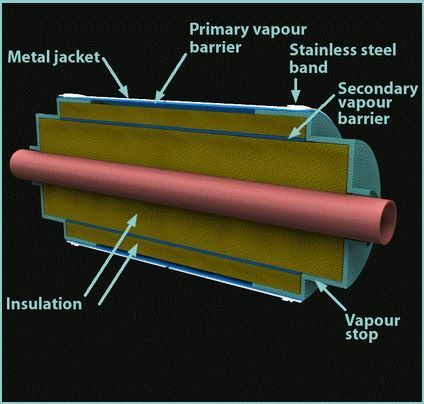 The module is also covers typical damages to insulation and their causes. Được sửa bởi Bố già ngày Wed Jan 18, 2017 10:04 am; sửa lần 3. This program familiarizes students with the design and operation of Framo submersible deepwell pumps and their associated cargo handling systems. It delivers the basic theoretical knowledge and skills needed to perform selected operations with these pumps. 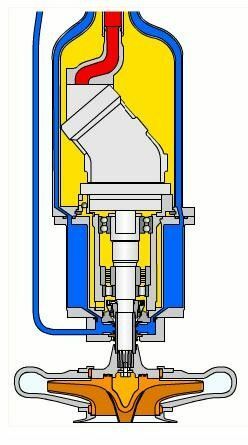 After an initial overview of a Framo hydraulic cargo pumping system, the program works through the various stages of a cargo handling and a tank cleaning operation. Each stage is first explained and demonstrated for the understanding of the student and he then has the opportunity to repeat the sequence in an interactive step by step exercise. 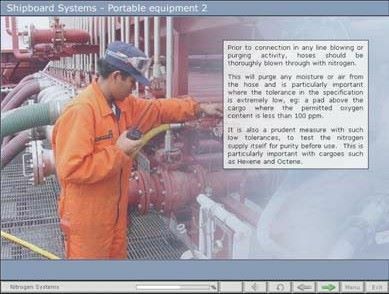 This training module examines the use of nitrogen and other compressed gases in cargo operations on chemical tankers, with the emphasis on safety and standard operational procedures. Applicable sections of prevailing regulations and industry standard guidelines, including the ICS Tanker Safety Guide (Chemicals), ISGOTT, the IBC Code, IMO Inert Gas Regulations and SOLAS, together with representative manufacturer’s documentation. Deck officers and ratings involved in cargo operations on board a chemical tanker at operational, support and management levels. Great Work! Thanks for everything. Thanks a lot for the vids! Được sửa bởi Bố già ngày Wed Jan 18, 2017 9:03 am; sửa lần 2. Sulzer RTA engines with DENIS. * Target group: The target group is AutoChief 4 users at operational and management levels. A number of high-profile incidents in the 1990’s were identified as being the result of improperly secured cargo containers. These incidents led variously to the loss of life, serious injury, loss of complete ships, structural damage, costly cargo damage and pollution. They prompted an increased focus on the systems employed to secure containers and the competence of those who operated them. This module delivers training on the systems and will lead to a greater understanding of the forces involved, particularly in heavy weather. It further emphasises the need for good maintenance and adherence to company cargo handling policies. * Target group: This module provides training on Container Lashings for senior ships’ officers who are immediately responsible for the safety of the ship and therefore closely involved in the loading and securing of cargo containers. Được sửa bởi Bố già ngày Sat Mar 09, 2013 12:30 am; sửa lần 1. * Introduction: By successfully completing this course: You will be familiar with the supply chain. You will learn to take good care of the cargo. You will learn professional cargo handling skills. You will understand and be able to apply the Zero Damage principles. * Target group: This course is intended for officers on board reefers. Được sửa bởi Bố già ngày Wed Jan 18, 2017 10:09 am; sửa lần 2. * Introduction: The purpose of this training programme is to make the student able to inspect the hull structure and equipment of a container ship as stated in the Planned Inspection and Maintenance System (PIMS) in a safe and structured way. The students are also expected to obtain necessary skill to perform owners required inspection of the hull with respect to structure and cargo arrangement as stated in the PIMS system. Focus is at all times kept on personal and ship safety. IMO ISM code, Reg. 10; Maintenance of ship and equipment; The training course is certified in accordance with the DNV SeaSkill Standard for learning programmes. * Target group: All levels from support to management. * Introduction: The purpose of this training programme is to focus on the importance of proper greasing and maintenance of mooring winches and windlasses. 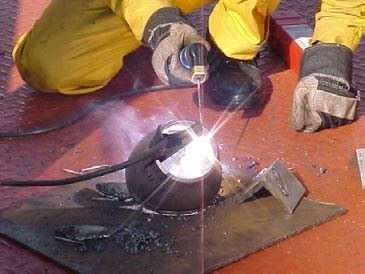 The possible consequences of improper or infrequent greasing of mooring equipment are described together with tips for safe and efficient greasing procedures. * Target group: All support levels. * Introduction: The precautions, procedures and documentation associated with hot work tasks have developed as an integral feature of repair and maintenance work on board ship, particularly since the introduction of quality management systems. Yet incidents continue to happen. This training module seeks to reinforce the safety requirements and procedures and develop a better understanding of the reasons behind them. * Target group: This module is suitable for Officers involved in the planning and supervision of hot work on board ship and for those carrying out such tasks in a primary or support role. As such, different elements of the course variously apply to STCW management, operational and support levels. 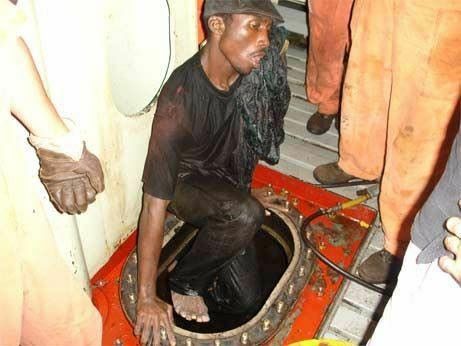 This training module aims to establish, improve and test knowledge and understanding of entry into dangerous enclosed or confined spaces on board ship. It highlights the dangers that may be present and reviews the common procedures employed when entry into such compartments is required. It serves both as refresher training for the serving seafarer and as foundation training for the new recruit. This module is applicable to officers and ratings on all types of vessels at STCW operational, support and management levels. 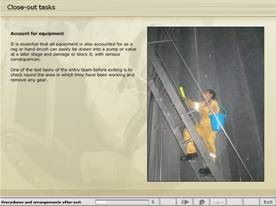 Shore-based management personnel with responsibility for training and the maintenance of Safety Management Systems will also benefit from an understanding of the content of this module. Được sửa bởi Bố già ngày Wed Jan 18, 2017 10:12 am; sửa lần 2. There are those who still believe that accidents happen purely through carelessness and poor practise on the part of the individuals directly involved, that everything can be explained at the level of “simple human error”. Those that get no further than assigning blame miss a golden opportunity with each successive accident, incident or near-miss that occurs. This is the opportunity to understand, to modify procedures, to correct deficiencies and to prevent accidents happening in the future. This module explains the investigative procedure that leads to making the most of that opportunity. 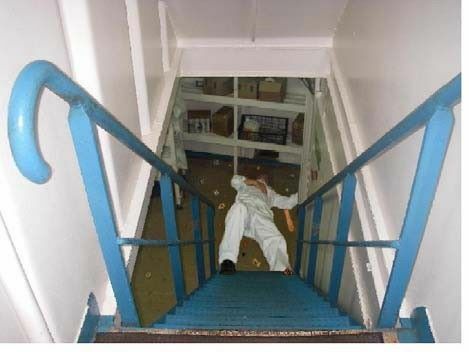 The program provides an overview of accident, incident and near-miss investigation on board ship at various levels and forms training for those from ship’s staff and office management who are required to carry out or monitor such investigations. It is therefore particularly relevant for Safety Officers, Heads of Department, Masters and office- based Safety Managers. This CBT module develops a student’s professional and conversational English in a common shipboard situation. 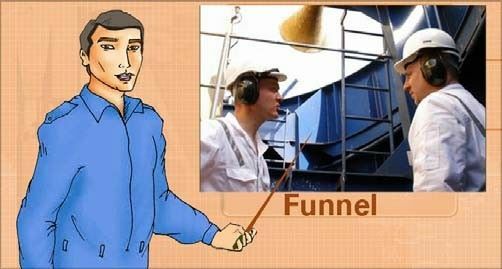 It helps to review and practice terms commonly used during a ship “Superintendent’s Inspection” of the engine room. Names of equipment and various items of machinery are used in association with a Superintendent’s inspection. Được sửa bởi Bố già ngày Wed Jan 18, 2017 10:15 am; sửa lần 2. This module discusses the origins of the IMDG Code and overviews its layout. It explains in depth the classification of dangerous goods, safe packaging, the meaning of markings and labels, stowage principles and emergency procedures as contained in, and with reference to the appropriate sections of the Code and its Supplement. It includes a comprehensive practice session. The module is based on the International Maritime Dangerous Goods (IMDG) Code, 2008 Edition, incorporating Amendment 34 – 08 and the 2008 Supplement and is made according to IMO Model Course 1.10 Dangerous, Hazardous and Harmful Cargoes. 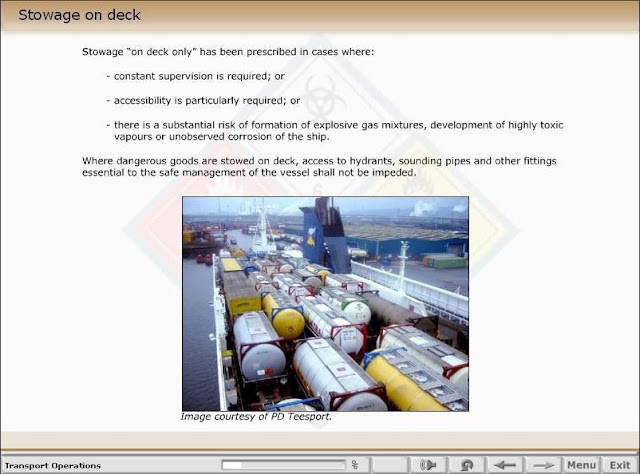 This module provides training on the International Maritime Dangerous Goods Code for seafarers with immediate responsibility for the loading, discharging and care in transit or handling of dangerous, hazardous or harmful packaged goods. It also serves as training for staff in associated \shore facilities responsible for supervising the preparation, shipment, handling and documentation of packaged dangerous goods. The hatch cover is the single item of shipboard equipment that causes the largest and most expensive claims on bulk and general cargo vessels. The condition of the hatch covers is essential to the watertight integrity of these vessels and to the preservation of the cargo on passage. 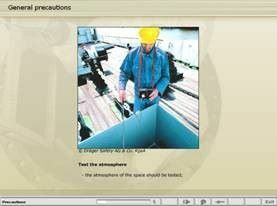 This module shows seafarers how an efficient watertight seal is maintained through proper operation and maintenance. This module is based on “Hatch Cover Maintenance and Operation – A Guide to Good Practice”, 2nd Edition, written by David Byrne CEng, BSc, MSc, FRINA, FCMS MNI and published by the North of England P&I Association. It also incorporates relevant IACS requirements and major manufacturer’s guidelines. The module also contains a detailed glossary of hatch cover terms. This module is suitable for all STCW levels (Management, Operational and Support) and serves as a reference tool for Superintendents in shipping company offices. The cost of stowaways to the maritime industry was estimated in 2008 at over US$20 million a year. Both natural and man-made disasters continue also to drive people to seek a better life in what they perceive as richer or safer countries by crossing dangerous waterways, often in unseaworthy and ill-equipped craft. 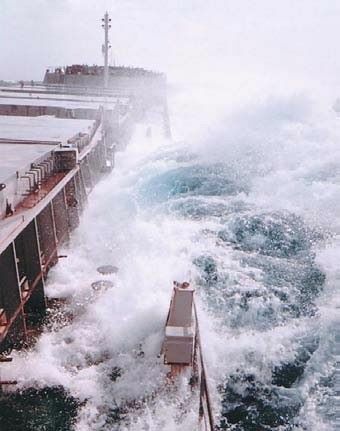 Merchant vessels are frequently caught up in these situations and their masters, officers and crews are then faced with a series of difficult decisions and challenging administrative and legal processes. 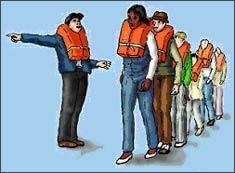 This training program is designed to provide guidance on the prevention and processing of stowaways and the handling of migrants and refugees rescued at sea. Applicable IMO guidelines, various UN agency guidelines, conventions and circulars and selected P&I Association advice. Ship masters and officers will benefit from the guidance given in this module. Selected areas may also be used to instruct crew members as to their roles and responsibilities in such situations. The program is also of value as an introduction to the subject of processing stowaways, migrants and refugees for shore-based office management. - understanding how to react if pirates do actually seize control of the ship. It will increase his general awareness of piracy-related risk and develop his understanding of the actions necessary in piracy or armed-robbery situations. 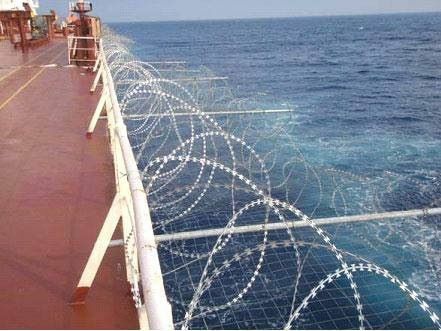 Advice and guidance on counter piracy from international, national and industry bodies has changed frequently as the situation has escalated off the Horn of Africa. More and more agencies have added circulars and instructions advising or directing the seafarer. Seagull has monitored all of these and now releases this module, which consolidates the latest advisory measures and recommendations, delivering applicable training in a consistent and consolidated form. Material from the IMO, Intertanko, the International Maritime Bureau, the Maritime Security Centre (HOA) and P&I Clubs has been used in the compilation of this program. This module is principally aimed at Support and Operational level personnel, although Management level personnel should be thoroughly familiar with it for the purposes of integration with shipboard anti-piracy training. A second Piracy module, more detailed and aimed at Senior Ship’s Officers and Shore Management, is planned as a companion module to this program. The OCIMF Tanker Management and Self-Assessment Programme is a tool designed to assist tanker operators measure and improve the standards of their safety-management systems. This module provides an overview of that programme and explains how and where the TMSA Guide is intended to be used. It serves as an introduction and a reference and is to be used in conjunction with the Guide itself. The OCIMF Tanker Management & Self Assessment Guide 1st Edition, 2004.
management, or seconded to the office for a related function. It will also provide an overview of TMSA for senior sea staff, thereby providing a context to procedures established or implemented by management in relation to the ISM Code.